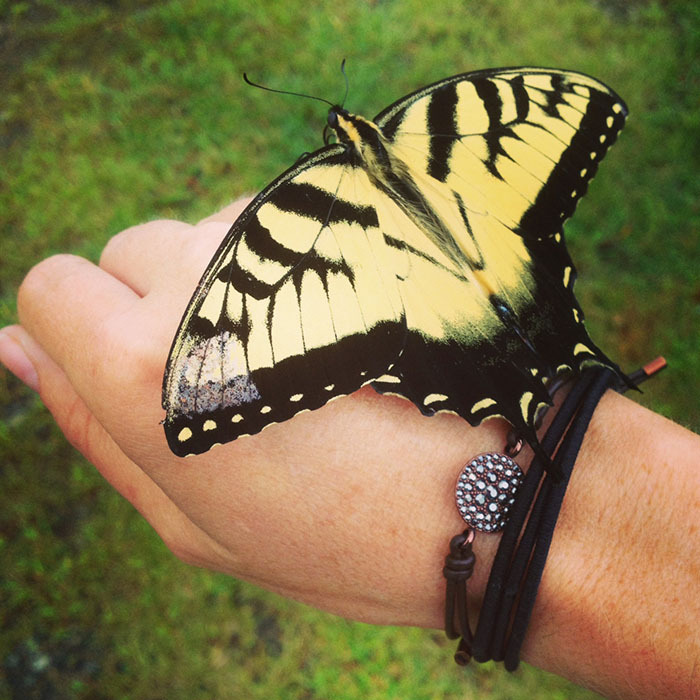 Confessions Of A Domestiphobic: It’s Quite Possible That This Butterfly Changed My Life. I may as well admit it. I do this because I find that when I’m peeved — like, this-could-seriously-have-a-negative-effect-on-my-blood-pressure kind of peeved — I find that using the royal “We” adds a bit of whimsical humor to the situation, reminding me that unfortunate things like this are bound to happen, and it does Ourselves not one iota of good to get all worked up about it. Lots of things have been happening that I haven’t had a chance to tell you about. Big things. For one, We are displeased because We have wasted money. We have wasted money, and We feel as though We’ve been duped. Last week, in my few days of home time between getting home from Portland and driving to Chicago, our air conditioner decided that conditioning the air was no longer what it wanted to do with its life, so it packed up its coils and bought a one-way ticket to Bali. Or so I’d like to imagine. *If you’d prefer to not read what really just amounts to a public rant about home warranty companies, go ahead and skip past everything in the gray box below. The problem with this, of course, is that we live in North Carolina. And it’s August. Air conditioning is practically a necessity. (Yes, yes. I know it’s a luxury that I’m very fortunate to have. When I have it. Which we didn’t. For about three days.) See, we knew that our AC was almost 20-years-old, which is pretty close to retirement for one of those suckers, so we prepared ourselves a couple of years ago by investing in a home warranty. Home warranties, we thought, were supposed to cover most major issues around the house — from refrigerator repairs to, you guessed it, AC meltdowns — for a small-ish site visit fee of about $70, plus the yearly fee of around $600. But Justin and I are lazy. And we didn’t read the fine print. We have what’s called a “split system,” with this air handler thingie under the house and this giant fan thingie outside of the house. The air handler thingie is what broke — not the fan thingie. So the home warranty people (Old Republic, for what it’s worth) told us they covered the cost of only the air handler (no labor). The problem? North Carolina requires us to replace both units, and the home warranty has a clause, of course, that it doesn’t cover state mandates. So the cost for the new fan thingie, which wasn’t even broken, plus labor for everything, would come to $5,320. Not to mention the $600 we’d just spent renewing the (apparently worthless) home warranty. And the $600 we’d spent the year before that. And the year before that. The good news is that I arrived home from Chicago last night to a working air conditioner, so there’s that. But this isn’t just a venting sesh about home warranties. I have bigger news, actually. Kind of huge news, in fact. After much worry and nail chewing and stomach-churning angst about where the military would decide to send us next year, Justin and I have finally gotten our orders. The good news is that we’re not moving to Minot, North Dakota. No offense if you live in Minot, by the way. Although I’m sure it’d be way cool to live so close to Glacier National Park and… um… buffalo(? ), I’ve been craving a change. Something big. Something requiring, perhaps, the learning of a new language. The frustration of overseas shipping. The complete and total culture shock that comes with living in a foreign country. That’s not what’s going to happen. At least not yet. After years of sweating it out and not buying too many small kitchen appliances and wondering which vehicle we’d ship across the pond and telling ourselves that people would finally start visiting us if we lived somewhere interesting, our orders have arrived. We will be close to the ocean. And close-ish to D.C. And just a train ride from Philadelphia and New York City and we have close friends and family scattered along this fantastic east coast of ours, including one right there in Newport News, and can you tell I’m trying not to break into a pre-noon bout of uncontrollable crying because not only will we likely still be paying for an air conditioner in this house by the time we move in January, but I’m still trying to accept the fact that a decade-long dream has been placed on indefinite hold. And really, I shouldn’t be surprised. Because they always say it — Life is what happens when you’re busy making other plans. So this time, I don’t intend on wasting it. I plan to be a curious, excited tourist in my new hometown. Because, I know, this ‘tude of mine has got to stop. Yesterday, just minutes after a particularly shameful bout of road rage undoubtedly induced by something much deeper than the sheer ludicrousness of the tollway running through West Virginia during my 14-hour solo drive back from Chicago, I pulled into a gas station parking lot to use the restroom. It was situated deep in a valley between two verdant and ancient worn mountains. It was beautiful, really, minus the revving of engines and exhaust from 18-wheelers and the cigarette smoke from the travelers loitering outside. The sun was beginning to set behind the foothills and everything — from the blood-drained grey of the cement-encased building to the tree-blanketed hills arching up on all sides — was cast in the most beautiful golden glow. Everything, it seemed, looked alive. 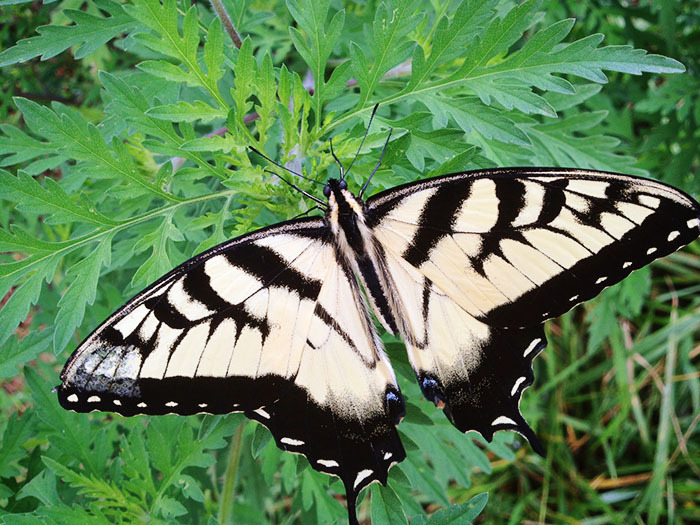 I returned to my car and there, on the spray painted white line of the dark gray asphalt, in the very last place it belonged in this world, was a striking golden butterfly. I thought it was dead and turned to open my door. But then I turned back. I put my index finger in front of its head, and it immediately crawled onto the back of my hand. Its left wing was damaged and its black, ribbon tongue hung out in a curl. It might not have been long for this earth, I feared, but I didn’t want it to die amongst car fumes and gasoline and screeching car tires. I walked to a green space at the base of a hill, and I let it crawl off of my hand and onto a plant. And I know. I know it’s crazy, but I cried just a little. I cried because one of the hardest things in the world, I think, is admitting to ourselves just how ridiculous we are. How crazy it is to make plans for a life that isn’t even happening while forgetting to live the one that we have. Excerpt From: Farmer, Steven. “Animal Spirit Guides.” Hay House, Inc., 2006-11-01. iBooks. I’m pretty sure butterflies must be the most brilliant creatures on the planet. 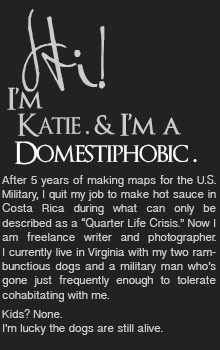 Love it Katie! I need reminding to chillax once in a while!! Well, according to the visitor website, Hampton has an old soul and youthful enthusiasm, so that sounds nice. And there appears to be a petting zoo. And who doesn’t love petting zoos? I mean, really. They have baby sheep and birds of prey. Not necessarily a combination I would have put together, but I’m sure they know what they’re doing. When do you go? Also, insurance companies are bastards. It’s just their thing. Hampton Roads is a pretty interesting place. We just moved from Norfolk. There’s a lot little day trip possibilities like Richmond and Williamsburg and weekend trips like Charlottesville and the Outer Banks. 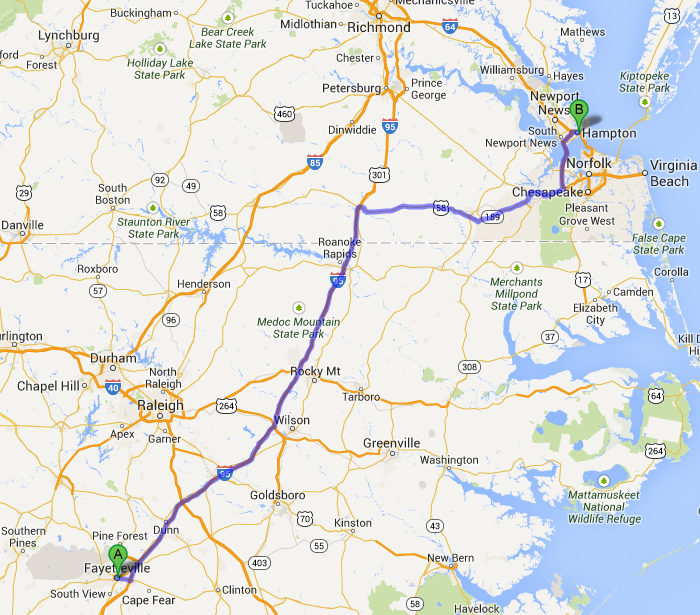 Norfolk and the Ghent area are nice, very walkable. But the tunnel going into Hampton does sometimes get congested. I bet there are some hip areas in Williamsburg and it’s not too far. And no tunnels to deal with. Ohh, it’s a tunnel! Ha. Shows how much I know! I’ll definitely check out Williamsburg (might be too far of a commute to move there) and I found a cute neighborhood in Hampton Roads with some older homes… can’t remember what it’s called now though. Ugh, now we just have to sell this place! I loved that photo when it showed up on your instagram feed… I’m so glad I know the story behind it now. What a lovely message (…you are full of them… I hope I can be even a little like you at some point in my life!!!). Hugs and I hope you enjoy your move and new city. Yes so true… I know what you mean, and I know what you are saying by trying to be who you want to be… That is something I have lost sight of lately and am working to rebuild. It’s frustrating we can’t just snap our fingers and have it done, yeah? I’m right there with you! Thanks, Kris!! I love you. And your mom. :) Give me a call one of these days!